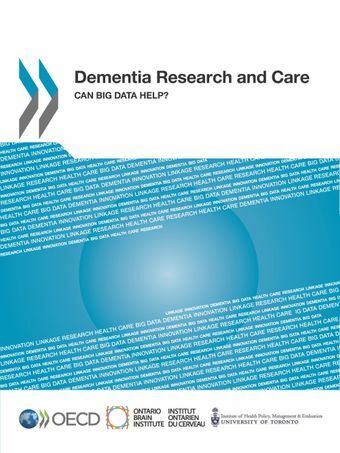 OECD countries are developing strategies to improve the quality of life of those affected by dementia and to support long-term efforts for a disease-modifying therapy or cure. The OECD jointly hosted an international workshop in Toronto with the Ontario Brain Institute (OBI) and the Institute of Health Policy, Management and Evaluation (IHPME), University of Toronto on 14-15 September 2014. The aim of the workshop was to advance international discussion of the opportunities and challenges, as well as successful strategies, for sharing and linking the massive amounts of population-based health and health care data that are routinely collected (broad data) with detailed clinical and biological data (deep data) to create an international resource for research, planning, policy development, and performance improvement. The workshop brought together leading researchers and academics, industry and non-government experts to provide new insights into the opportunities and challenges in making “broad and deep” data a reality – from funding to data standards, to data sharing, to new analytics, to protecting privacy, and to engaging with stakeholders and the public. Government leadership and public-private partnership will be needed to create and sustain big data resources, including financing for data infrastructure and incentives for data sharing. For more information, please contact health.contact@oecd.org.